The object of enumeration of fundamental rights in a constitution is not to make them unalterable in any way but main object is that they can not be taken away by ordinary process of law making. They are placed beyond the reach of the executive and the legislative to act in violation of them. The very purpose of a Bill of Rights is to withdraw certain subjects from the vicissitudes of political controversy to place them beyond the reach of majorities and officials and to establish them as legal principles to be applied by the courts. 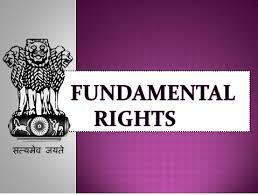 One’s fundamental rights may not be submitted to vote, they depend on the outcome of no elections.